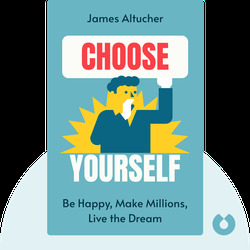 Author James Altucher explains that after the 2008 global economic crisis, you can’t wait to be chosen; you have to Choose Yourself. 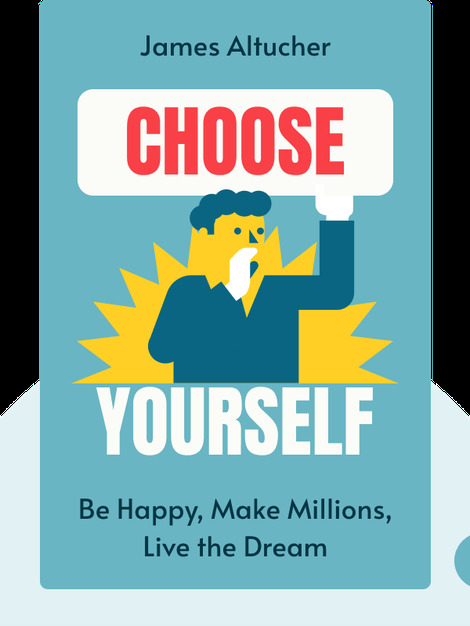 This means you have to take full responsibility for your own success and happiness by reclaiming control of your aspirations and dreams. To do this, the book gives you both tools and effective practices to stay physically, mentally, emotionally and spiritually healthy. James Altucher is a bestselling author, successful entrepreneur, podcaster, chess master and blogger. He has co-founded more than 20 companies and regularly contributes articles about technology and investments for TechCrunch, The Wall Street Journal, The Financial Times and Forbes.